The intent of this document is to act as a road map and checklist to use during due diligence. This list does not cover everything on all property, but is a useful tool and a great place to start when considering purchasing real property. The extent of due diligence depends on the value of the personalty. The analysis of leases should determine that the purchaser is acquiring what was bargained for, confirm that there are no undisclosed, extraordinary obligations or unexpected liabilities, and prepare the purchaser to assume ownership of the leases and manage the property consistent with the terms of the leases. 3.1 Obtain a rent roll and true and complete copies of each lease, any amendments, any side letters and as much landlord/tenant correspondence as possible. Analysis of the existing debt is only to determine the procedure and possible limitations on payoff if it is not to remain after the closing; otherwise the purchaser needs to become familiar with the existing debt just as if it were obtaining a new loan from the lender. 4.3.1 Can it be assumed? Can it be taken “subject to”? The purchaser usually “picks and chooses” among the service and maintenance contracts. For those to be terminated, the termination rights and procedures need to be learned. For those to be accepted (either assumed or taken “subject to”), they need to be reviewed as if the purchaser were entering into them anew and to determine the procedures for assignment and, perhaps, assumption. For those that are neither terminabel nor assignable, negotiations have to be entered into or the legal consequences for beach explored. The nature of the review depends on whether the policies are being assigned to the purchaser or being canceled at closing. If not assigned, the review is limited to determining that the purchaser’s interest is protected during the contract period. If the policies are being assigned, they need to be reviewed as if the purchaser were acquiring the polices anew. Determining the permits and licenses that are required for the property can be a difficult task and may require expert advice. Many permits are not transferable and need to be reissued upon the transfer of the property. The due diligence investigation should identify the procedure (including the time period) necessary to obtain new permits or licenses. The purchaser usually “picks and chooses” among employees when acquiring real property that has employees. Employees are either terminated or terminated and rehired at the closing (except in stock transactions where the employees come with the company). In all cases, the human factor must be given high regard and careful consideration. Moreover, numerous special legal obligations apply and need to be considered, especially if employees are being terminated (e.g. COBRA, WARN Act, collective bargaining agreements, accrued employee benefits and severance obligations). The purchaser needs to know that the property has permanent, uninterruptible access to all the utilities necessary for the current and anticipated use of the property. The lack of a vital utility can render the property worthless to the purchaser. Liability under federal, state and local environmental laws can be significant, far in excess of the value of the property or the resources of the purchaser. Mere ownership without culpability can lead to liability. Accordingly, environmental audits are becoming almost outline in real property acquisitions. 11.1 Investigate purchaser’s potential exposure to liability for cleanup of the property and/or natural resource damages under the Comprehensive Environmental Response, Compensation and Liability Act (“CERCLA”), the Resource Conservation and Recovery Act (“RCRA”), the Federal Water Pollution Control Act (the “Clean Water Act” or “CWA”), Oil Pollution Act (“OPA”) or other federal laws, state laws or common law theories. 11.2 What environmental permits are required? 11.3 Is the property in compliance with permit requirements, and the requirements of federal, state, and local environmental laws and regulations? 11.4 Are there any pending or threatened environmental enforcement actions against the property? Has the property ever been the subject of an enforcement action? What is the property’s compliance history? 11.6 Is there a potential for “toxic tort” litigation resulting from operations at the property? 11.7 Has a release, spill, discharge, etc., occurred on the property? What materials were released, and where di the release occur? IS the material migrating? What population or natural resource, if any, is potentially at risk? Was the release cleaned up? How was I cleaned up? 11.8 What types of activities have occurred on neighboring properties? Has any contamination from neighboring properties migrated onto the property to be purchased? Can potential environmental harm from neighboring properties be distinguished from the potential environmental harm from the property to be purchased? 11.9 Investigate history of ownership and operations, including prior uses and activities – Necessary for “innocent purchaser” defense to liability under CERCLA; assists in identifying potential problems. 11.10.14 Nearest populations, proximity to drinking water, agricultural wells, and surface waters. 11.10.16 Are activities regulated under the Federal Insecticide, Fungicide, and Rodenticide Act? 11.10.17 Will public land requirements be triggered? 11.10.18 Is the property subject to regulation under the Toxic Substances Control Act (regulates PCBs, among other things)? 11.10.19 Will an environmental impact statement be required for activities the purchaser intends to conduct? 11.10.20 Will federal, state or local noise control requirements apply? 11.10.21 Will operations affect plant or animal species protected under federal or state law (e.g., threatened or endangered species)? 11.10.22 Would development of the property affect cultural, archeological or historic remains, relics or resources? 11.10.23 Will activities be regulated under the Occupational Safety and Health Act (e.g., OSHA asbestos exposure control program)? 11.10.24 Consider an environmental audit to address items listed above – American Society for Testing and Materials (ASTM) Standard E-1527 is gaining acceptance as a standard for such an audit. The purchaser needs to know that the current and intended uses of the property are lawful under building codes and zoning laws and that there are no legal labilities associated with the property. Here too, ownership may lead to liability in excess of the value of the property or the financial resources of the purchaser. 12.1.3 Any open building permits? 12.8 Planned Unit Development (P.U.D.) requirements met? 12.9 Look for annexation agreements, plat notes, subdivision improvements agreements and the like. 12.10 Is the Property located within any special districts? 14.2.3 Conforms to tax assessor’s map? 14.3.2 Requirements to convey can be met? 15.1.3 Land Survey Plats – C.R.S. § 38-51-101, et seq. 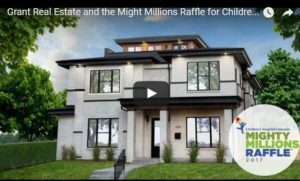 By partnering with the community and building a high-quality home with Redeux, Grant Real Estate Company became the only Colorado company chosen to provide the Mighty Million Dollar home for the raffle to benefit Children's Hospital of Colorado.